How much water is the right amount of water when irrigating your crop? It’s a hard question because every greenhouse has different cultural practices and not every crop requires the same amount of water. There are 5 different levels of “wet” in the greenhouse. I think Dr. Roger Styer came up with these levels. In a perfect world, your crops would spend most of their time moving between Level 4 and Level 2. Better to grow on the dryer side. Once you see the ill effects of over watering, the damage is already done. Roots are rotted and the plant ends up on the compost pile or it’s overgrown and needs to be cut back. Remember that a wilted plant isn’t a terrible thing. Give it a try. Let some plants get drier than you normally would and see how it comes back from a wilt. Try it on imps and tomato first. Don’t try this on snaps, pansy, lantana or verbena, there will be some leaf margin damage (there may be others I’m not remembering, but most spring bedding plants will come back from a will just fine). During cool and cloudy stretches you may not water for several days in a row. That’s OK. It’s never a good idea to water just for the sake of watering. Watering during a cloudy stretch may leave the plant in Level 5 for an extended period of time. You potentially do more harm watering a dry plant on a cloudy day than leaving it until the next sunny day, even if it’s slightly wilted. Good luck and call us if you have questions. Steve joined Tessman in 2016. 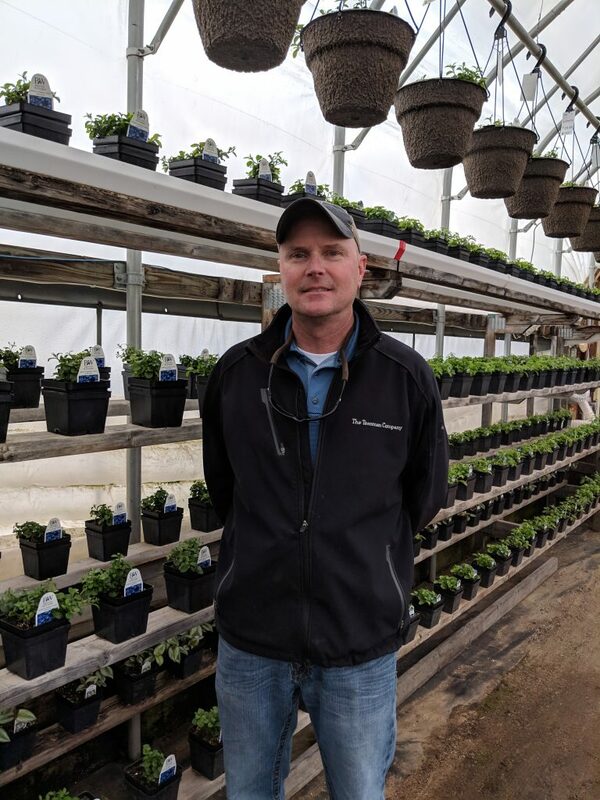 Along with a BS in Horticulture and a BS Business Economics from South Dakota State University, Steve has over 20 years experience in greenhouse production, sales and consulting. He has worked in small mom and pop greenhouses all the way up to 50 plus acre wholesale greenhouses. He prides himself on finding new ways to improve production practices.